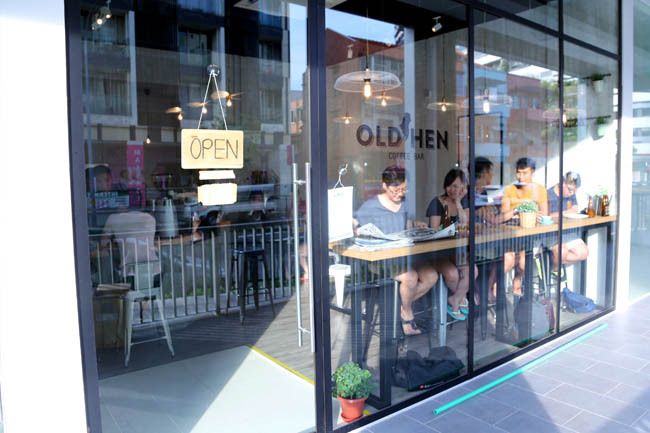 “Old Hen” is such as strange and possibly offensive way to name a café (try calling someone ‘lao gui bu’!). You wished there was some bizarre story, or food items to do with ‘hens’. 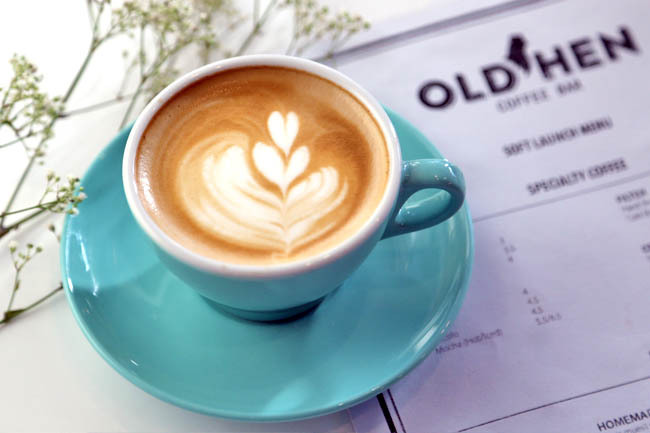 Located along Rangoon Road, Old Hen Coffee Bar is a specialty coffee shop which sits on the quieter side of the busy Farrer Park district. 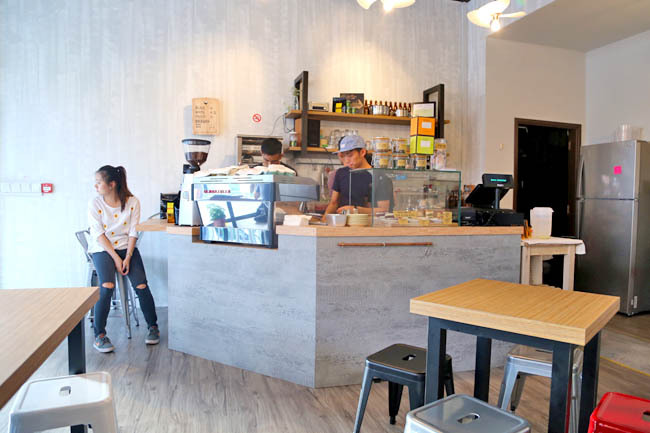 The space is small, menu limited, added with the usual industrial concrete wall finish, BUT you sense this earnest sincerity in the three boys (Terry, Ivan and Mason) who came together to live their dreams. 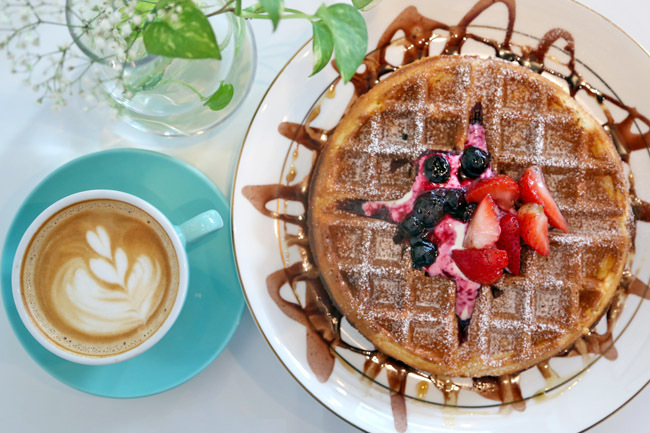 There are two items served in their soft launch menu – Buttermilk Waffles ($9) and Homemade Muesli with Yoghurt. 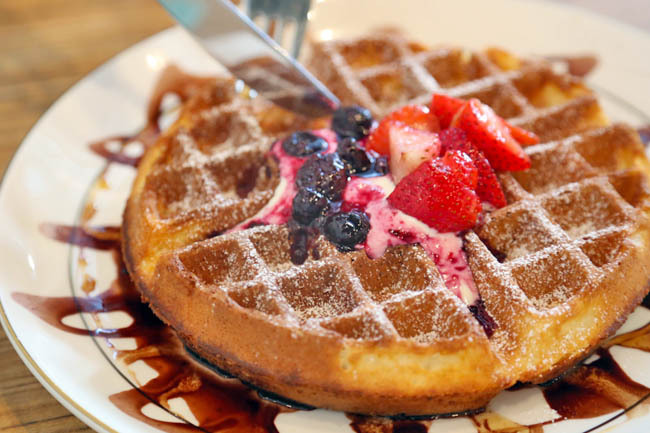 Waffle is really the In-food huh? I digress, but few cafes even do them well to begin well. Perhaps Old Hen being new is still getting a hang of things, their version is kind of dry, and topping up with Greek yoghurt and less than generous portions of fruit didn’t help. 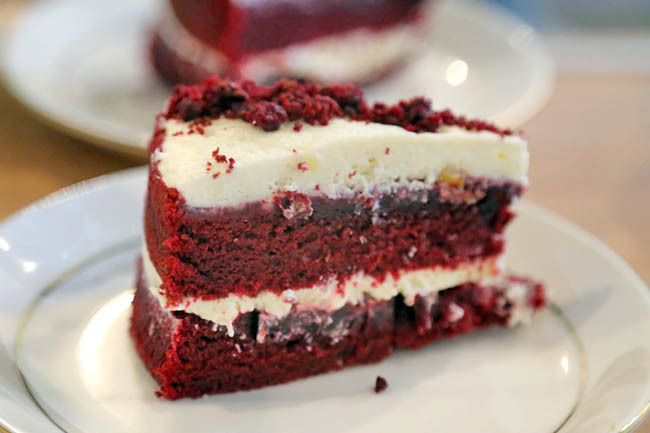 A small variety of cakes is offered, such as red velvet, strawberry lemonade, and banana French toast ($6 per slice), sourced from Kreme Couture bakery. My little suggestion is: the cakes could be more neat-fully sliced up. Coffee ($4 for 3oz white, long black, $5 for mocha) is bright and intense, a fairly decent cup, with beans used from Oriole’s Yellow Bird blend. 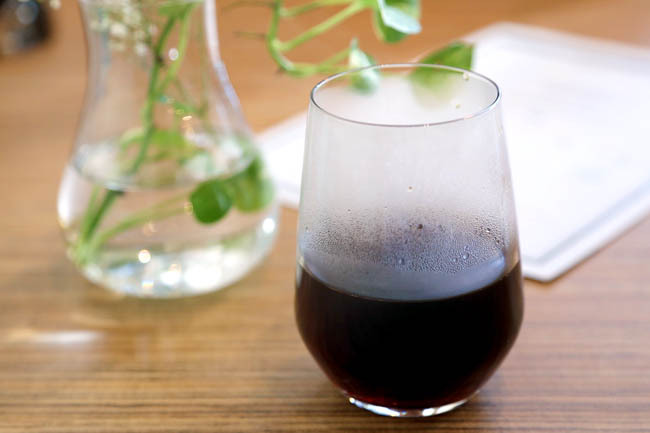 Most come for their signature cold brew. The baristas sound genuine and would come to ask for feedback. While the old hen hasn’t laid its eggs yet, a revisit some time later would be helpful while the guys fine-tune. Meanwhile, still a quiet cozy place to check-out.